This class will be taught using things that surround us: physics, polyrhythms, public transportation. Using ideas outside of my own realm of knowledge, I will bring in whatever new-found understanding I have as a movement practice. Discussions are welcome, moving a must and I hope it's different every time. Laurel Atwell has been dancing and making work in New York since 2008 in wide variety and is currently dancing for Belinda He, Kirstan Clifford, Saifan Shmerer and Sara Rudner. Laurel recently showed a collaboration with Jeremy Pheiffer at DraftWork and will be presenting a travel-size version of that piece in Chicago in April as well as the final version this summer. Laurel's work is inspired by specific times of day, Having a Coke with You by Frank O'Hara, extra sensory perception, Yves Saint Laurent, Dan Graham and city vs. country. 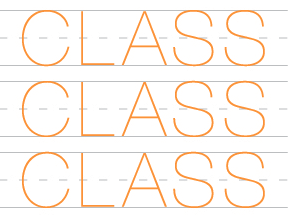 Laurel is currently co-running ClassClassClass with Tess Dworman and can prove it by updating this website.